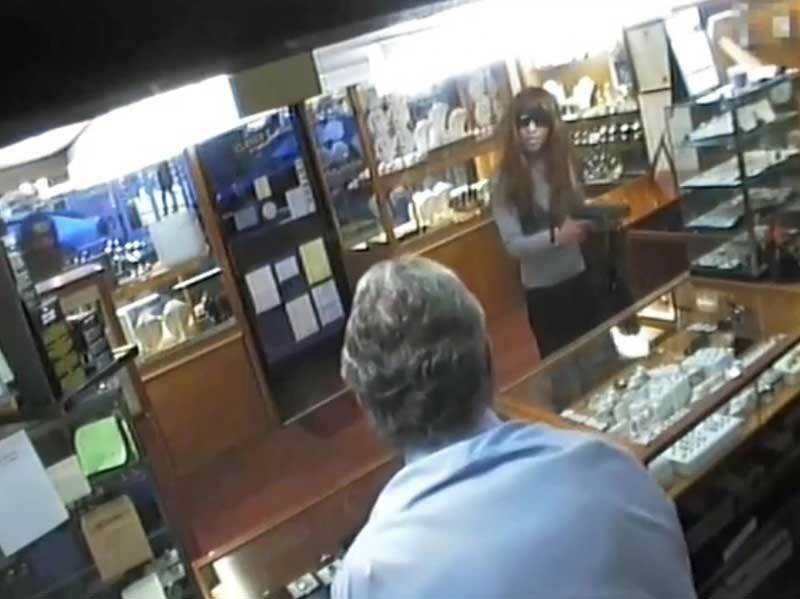 An armed robber has been jailed after an attempt to rob a jewellery shop while disguised as a woman went wrong when his skirt and wig fell off. Ryan Valentine, 39, entered Cradlers House Jewellers on the High Street in Leatherhead, Surrey, wearing a long black wig, dark sunglasses, a black skirt, a light coloured long-sleeved top and carrying a handbag. Shortly after, his accomplice Price, 45, entered the shop with his face covered by a motorcycle helmet. 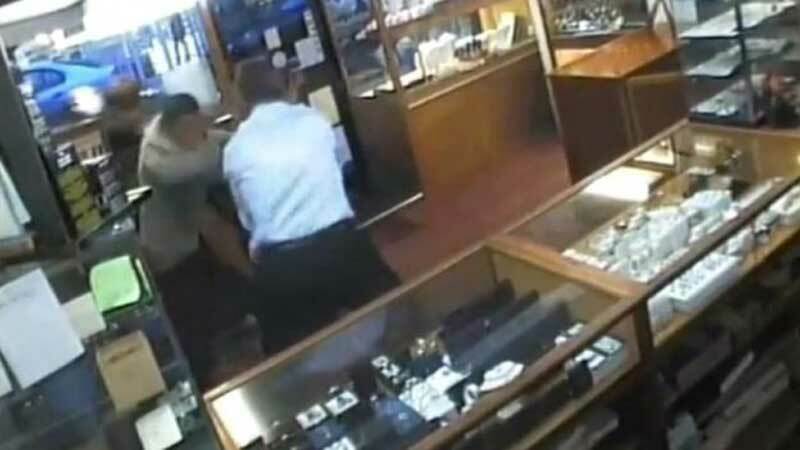 But when Valentine pulled out what appeared to be a firearm and threatened two members of staff, the shop owner and worker refused to hand over any money and tackled the pair. 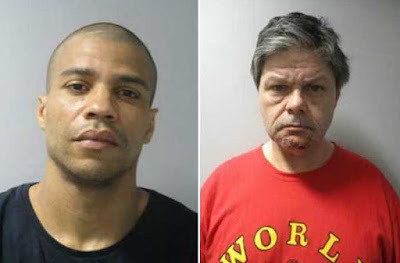 Valentine's wig and skirt fell off, exposing his backside when his legging fell down, before the would-be robbers were thrown out of the store by owner David Dyer, 59, and worker Frazer Wilson, 24. After the struggle, Frazer was left with a broken cheekbone and a chipped arm bone, and David with a cut to the head. 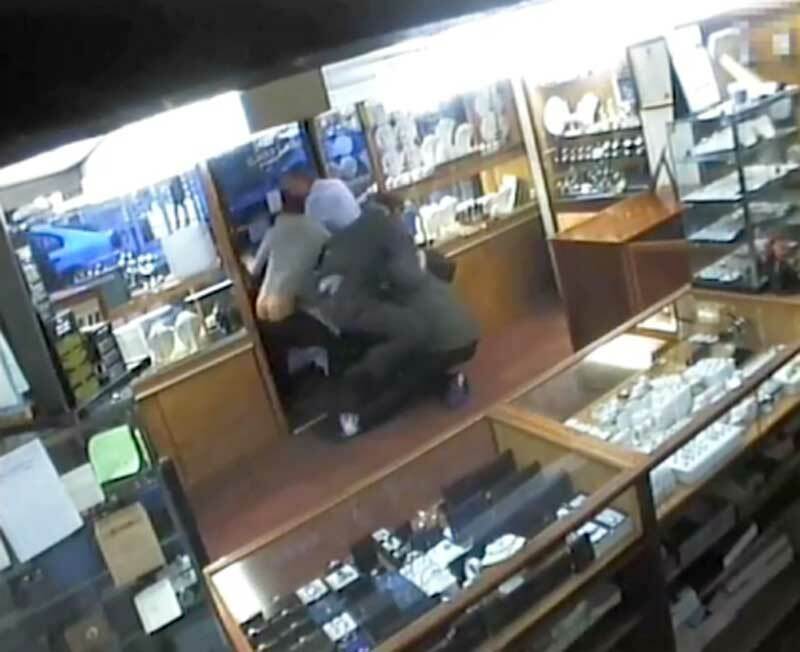 Valentine managed to get out of the store and ran away, but the two members of staff, along with several passers-by tackled Price and held him until police arrived. Valentine was arrested by officers at Gatwick Airport several days later. Price and Valentine, both from Walton-on-Thames, Surrey, have been jailed for a total of nearly ten years. Valentine was sentenced to six years in prison, and Price for 45 months, at Guildford Crown Court on Thursday after both men admitted charges of having an imitation firearm. Both had entered guilty pleas at earlier hearings. Valentine has three previous convictions that cover 24 offences and has previously served nine years in prison for possession of Class A drugs, robbery with an imitation firearm and the importing of drugs. Price has 12 previous convictions, all for drugs offences.